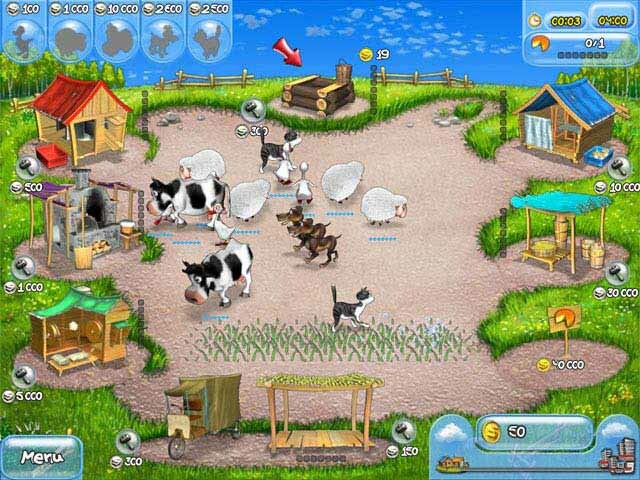 Free download Farm Frenzy Lite game for Symbian and Java. It is a free and fun farming game for Symbian and JAVA devices which is developed by Herocraft Games. You’ll enjoy the big world of agriculture. In the start of the game you have nothing much but save livestock, and with the help of livestock you have to produce different goods and expand your business. You’ll earn money by doing business through which you should build a business empire. With that money you can buy new equipment, machinery, buildings, markets and machinery etc. You have to make proper strategy to play this game. You’ll play this game in Quest Mode, where you have to face the challenges and must complete them to step forward in the next level of game. There are a lot of levels in this game and game will start with easy challenging, and after completion of each challenge next level will be more difficult and so on. At the end you must build your own farming empire. Frame Frenzy is a very light game and has very good graphics indeed. It has very good and colorful scenes which make it more interesting and you miss your cartoons of childhood for sure. The background music is basic but not so noisy and annoying. The game is very easy to install and you can play this game with an ease.